Octonauts is a children's animated television series by Silvergate Media. 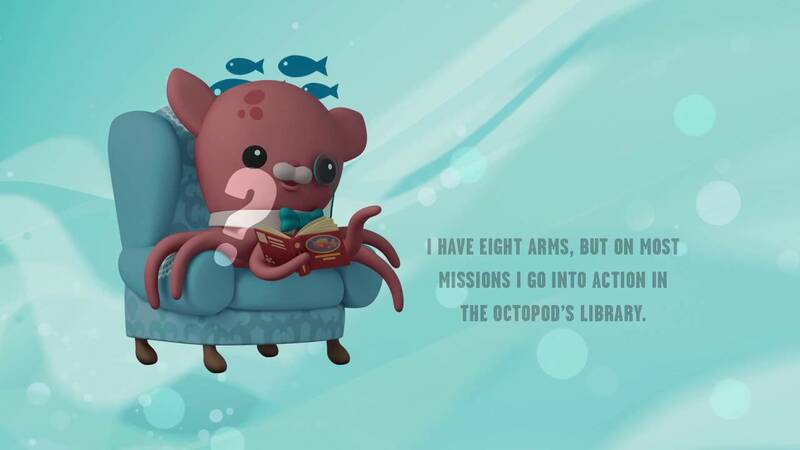 Each episode the Octonuats crew of eight cute animals explores the ocean for adventures to rescue creatures in need. This time, Slivergate Media teamed up with SimEx-Iwerks to produce their very first 4-D experience At SimEx-Iwerks we took existing key art from Silvergate to produce this 16-minute fun and engaging animated trivia video. Sample slides taken from the 16-min video.